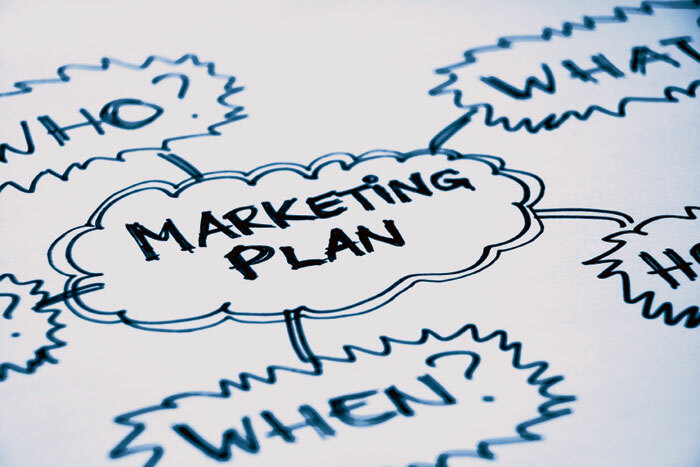 This is a continuation of my series on creating a 90-day marketing plan. As I said in the first post, your first 30 days were about laying the foundation for the great work to come. Now, in your second 30 days, it’s time to build the tools you need to reach your long range goals. Here is an outline for the second 30 days of this plan. The company is missing some modern “permission-to-play” pieces in its current marketing efforts. The focus for marketing for day thirty through sixty is to build and refine these missing pieces. Build a marketing machine that fills the gaps in the company’s marketing efforts. Begin to raise awareness for the brand. Establish KPIs and start to measure what matters. Today there are parts of the site that are no doubt failing. The problem is that without a multi-page design, there’s no way to analyze which parts. A multi-page design will organize the content in a meaningful way for visitors. That’s obvious. What might not be as obvious is that the company is missing opportunities to use metric based decision-making in its digital marketing efforts. Using a multipage design will allow the company to accurately measure Bounce Rates, which is impossible to do accurately with the current single page design. Separating the content means being able to measure how many unique visitors are visiting each section or page. Using that data you can gauge interest in products and see what content brings the most visitors. Born from the idea of creating a multi-page site, the company will now be able to create individual landing pages for each offer. There will be a page for the Enterprise touting the advantages of using the company to build a mentoring program. Another page could be used to discuss the value of participating as a mentor. And yet another page could be used to recruit individual protégées. The company will then start using metrics-driven decisions to optimize these pages where the current site doesn’t allow for it. Many times a simple change to a landing page call-to-action will greatly increase a conversion rate. With the forms currently being located on the home page there is no way to optimize. I am also guessing that with the forms buried at the bottom of the page there is a lot of room to increase conversion rates. The current site design feels small and lacks depth. Adding a second level of pages including a dedicated page for the team, case studies, press releases, “in the news” type stories and a blog would help. This is a “permission-to play” item in modern marketing. It provides fodder for Search Engine Optimization efforts and a space where the company can demonstrate its thought leadership. It also provides a simple to way to refresh some site content that then can be syndicated out through other channels. Often the challenge with a blog is making sure it has new content. Using LinkedIn and other sources I will create a network of guest bloggers to augment our internal efforts. I have a strong writing background and can generate content quickly as well. Inbound marketing reduces your cost of customer acquisition, establishes thought leadership and gives prospects a reason to surrender their contact information to build your sales funnel. Easily found short form content can be as simple as a blog post or an infographic. More complex topics are placed behind a landing page gateway and will take the form of white papers and ebooks. Resources: Access to data, research, and thought leaders the company might know. Writing and graphic design could be done internally at first to get the program off the ground. This section will no doubt grow after I come onboard and hear more feedback from the sales team. However, the one glaring hole I’d like to fix in the first 60 days would be the lack of case studies. Resources: Customer consent to publish a case study. Access to customers to interview. Data for analysis. Again, it could be written and designed internally. You can’t improve what you don’t measure. It’s also important to not get caught up in meaningless vanity metrics such as web traffic or new unqualified leads. The marketing dashboard will track several metrics relating to the health of the marketing and sales funnel including cost of customer acquisition, net promoter score (already being tracked), cost per lead, landing page conversion rates, number of new qualified leads, unique site visits and more. Resources: Access to all available data. Next up I will cover the last 30 days of the 90 day plan.